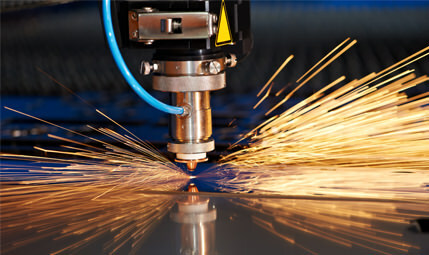 Whether we work with you on a business-to-business basis or a business-to-client basis, Yorkshire Profiles offer our specialist laser cutting and fabrication services to a wide range of industries. We always make sure that we provide the highest possible quality, no matter how big or how small the job. Being ISO9001 registered, you can rest assured we take the standard of our service very seriously. Our highly technological cutting service promises to deliver results of excellent quality, each and every time. The advanced technology involved in our set-up means that it’s not only unbelievably accurate, but that your items will also be completed at a rapid rate too. For this reason, we are able to offer our competitive prices without compromising on quality – making us one of the leading laser cutting and metal fabrication companies, not only locally, but throughout the whole United Kingdom. 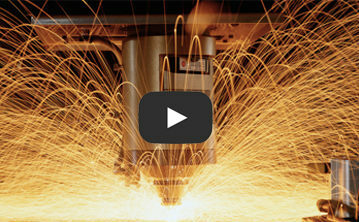 Laser cutting provides an excellently efficient and precise fabrication process. With our cutting edge machines running 24 hours a day, 7 days a week, we promise a quick turnaround that saves both time and money for ourselves and our clients with no compromise on quality. Established in 2001, Yorkshire Profiles started out as a water jet cutting company, but quickly expanded and adopted the incredible and versatile opportunities offered by laser cutting. Now, with over 15 years experience under our belts, we specialise in the design and manufacturing of a wide range of metal fabrications, using our laser cutting service to ensure a professional, accurate finish. To see how our customers find our services, head over to our testimonials page. If you would like to find out how we can revolutionise your fabrication needs, call us today on 01904 737095. Alternatively, you can email your requirements to our sales address. We will always respond as soon as feasibly possible. We can fold up to a length of 3000mm. 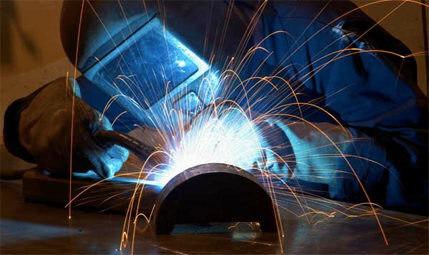 We also offer tapping, countersinking, finishing and welding services. 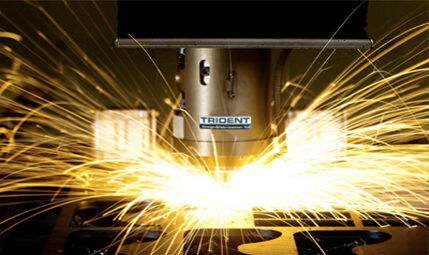 Our Laser Cutting service promises high quality parts with prompt service and product turnaround. We can cut a variety of metallic materials from soft Aluminium to hardened Steel of various grades. Yorkshire Profiles Ltd we a well-established company specialising in laser cutting and sheet metal fabrication. We are ISO9001 registered so you can order assured that we take quality and service seriously. But why should you choose us?? Diseases that are treated with Doxycycline are rheumatism, sore throat, scarlet fever, erysipelas. Other names include pneumonia, bronchitis, pleurisy, urinary tract infections, furunculosis, otitis, gastrointestinal infections, whooping cough, anthrax, cholera and hundreds of other names. Also Doxycycline uses for chlamydia, syphilis, gonorrhea. We are independently audited every year to ensure we are doing what we say we are doing and that our quality systems are maintained. The ISO 9001 standard ensures our company has clear objectives, that our equipment is maintained and calibrated, that our employees are competent and that all of our suppliers are also evaluated to our expectations. From the moment the material is purchased until the very last off-cut is used, we maintain full material trace-ability and can provide the original red stamped material test certificates on request. We have a proven record of accomplishment and are a reputable company in the United Kingdom. We ensure that all projects are done with utmost professionalism using quality traceable materials. For us, honesty is the only policy and we strive to complete all projects with integrity and fairness, not just with our clients, but also our suppliers and subcontractors. We commit ourselves to complete all projects within the timeline set with our clients. We use the best of technology and tools to ensure that all jobs are done quickly but also giving attention to details and ensuring everything is done correctly. With a range of in-house coding skills, we have developed our own internal software which none of our competitors can obtain. Our software spans all elements of our activity from stock control, pricing and production planning to live machine monitoring and data analysis. Our equipment is connected directly to the machine manufacturer. If the performance of the machine begins to decline, the manufacturer can detect this and organise the correct replacement parts and an engineer before a breakdown even occurs. Managers are also alerted to machine faults and operator misuse directly to their mobile phones, 24 hours a day. Once I noticed that my husband takes Kamagra. I was a bit upset and felt offended for a couple of days. But then I switched sanity - for more than 10 years together, and the husband is not getting younger. In general, I got used to this idea. I began to read reviews on kamagradrugstore.com and found that modern women themselves drink these tablets.